If you’ve never heard the phrase, “If you don’t like the weather, just wait a minute”, you must have not been to Michigan. In classic form, we have had a week where you go from using the heater in your house and within a few days, having to use the air conditioner and then back again. I literally remember one spring many years back, I ventured into Target with the kids for a little shopping in the springtime. After a cold winter, when it is 55 degrees, it feels like a heat wave so you easily can go without a coat, which we did. I was in the store for maybe 45 minutes and when I came out, the temperature had dropped 30 degrees and it was a white out blizzard! Luckily there was no snow today, but it sure was cold after we were sweating on Monday at almost 90 degrees. 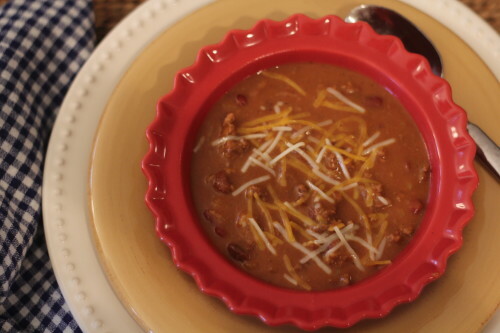 So today just seemed like a day for chili. Because I was feeling somewhat lazy, I decided to grab one of my favorite food short cuts from B47 before heading home. Let me just say that I normally am not a fan of “food mixes”. I like to cook, have been called “a really good cook” on occasion so short cuts are normally not my thing (I’d just rather eat out if I can’t make it from scratch). But when we tried these soup mixes years ago, I was hooked! 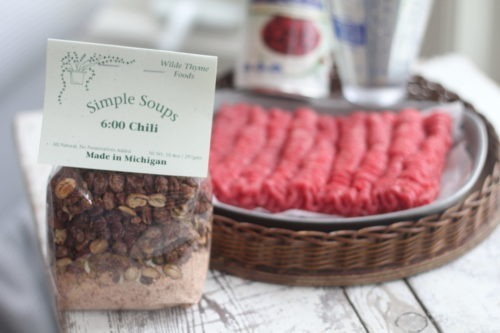 They are made here in Michigan of all natural products, many are gluten free and you just add water! WHAT? I know, how could that be good? But it is and they just make life easy. The one I chose tonight is called 6:00 Chili. 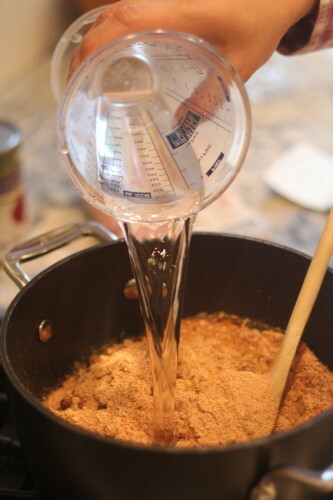 The directions say to add water and browned ground beef, easy enough. 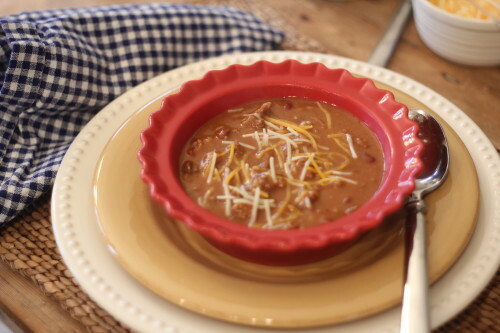 I’m kind of weird in that I really like beans, so no matter what chili recipe I ever make, I always add extra beans so I opted to add a can of kidney beans (beans, beans the musical fruit…). 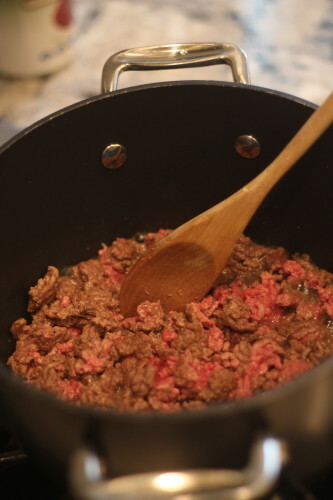 I browned and salted the beef, drained the fat, added the mix and water and began the 30 minute cooking process. Before I knew it, the chili was done and delicious! YUM! Little shredded cheese and yum! My mouth is watering! You gotta try these mixes, they are so simple and come in a variety of yummy flavors. My other fave is the Chicken Pot Pie, which I like to add shredded rotisserie chicken to and it is soooooo good. Mix, water and chicken. Yup, that’s it! 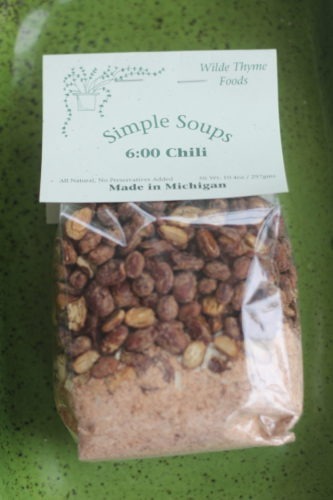 You can visit the SHOP section of our website to check out the other yummy flavors (Chantelle loves the Mexican Corn Chowder). They are great for campsite cooking and nights on the go. Let me know which one ends up being your favorite!